Historical Note: This is a Swedish cemetery, of the 95 tombstones. Only 27 tombstones do not have obvious Scandinavian names. 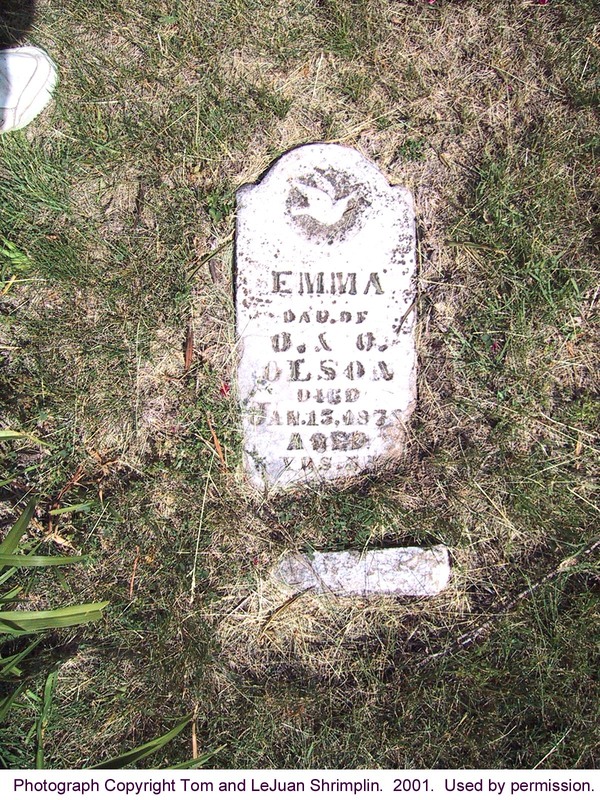 Ola Olson, born 25 June 1828 in Norway and died 16 April 1872, donated the land for the cemetery and it appears that he is the first burial in the cemetery. He was the husband of Olena Olson. Directions: From Leonardville, take Barton Road, Highway 24, to the east edge of town, turn left (north) onto Crooked Creek Road, County 875N, for five miles to the intersection with Green Randolph Road, County 378. 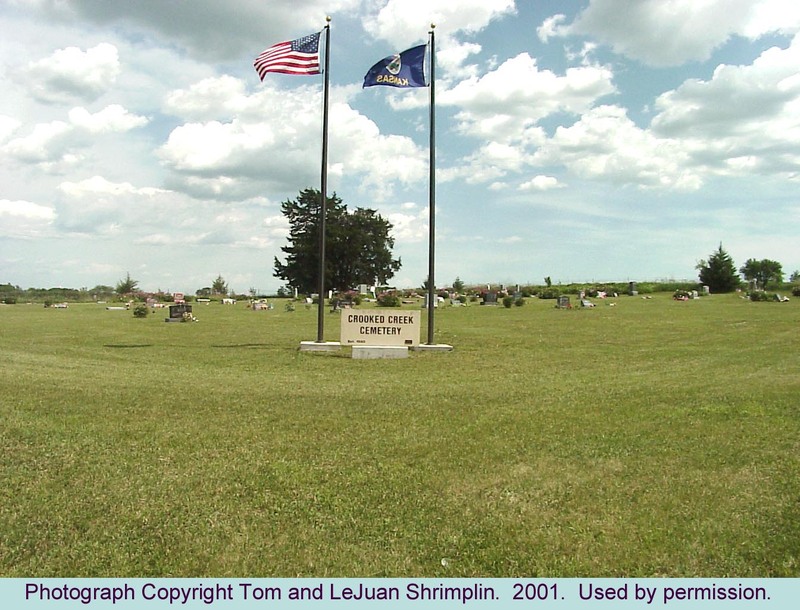 The cemetery is on the southeast corner of the intersection.